NCCF is delighted to administer the Nan Ogburn Cullman Education Endowment for Johnston County schools. 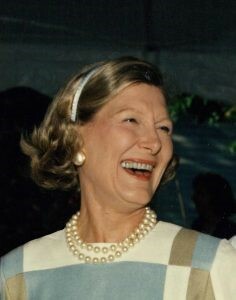 The endowment was established through the estate of the late Nan Cullman, a Johnston County native who led an extraordinary life as a professional singer, civic leader in Westchester, NY and worldwide traveler and explorer. The Nan Ogburn Cullman Education Endowment supports public education in Johnston County in the areas of art, travel and leadership. For the 2019 cycle, online applications are open only to Smithfield-Selma High School teachers and staff. Applicants may apply for up to $10,000. The application cycle is open Feb. 15 to March 15 at noon. Online applications can be accessed with the code cullman and will be available beginning Feb. 15 here.